Afrivista Tours Stellenbosch South Africa .Wine Tours is our speciality! / General Tour Photo Gallery / Tour Action Photo's / Sisters on tour. Great! Thanks for sharing the facts. That is very useful for growing my knowledge in this area. I typically surprised with' this factor, i asked myself about this opinion, I desire You'll a higher articles that could make any other fine mind and know-how. Amazing Post! 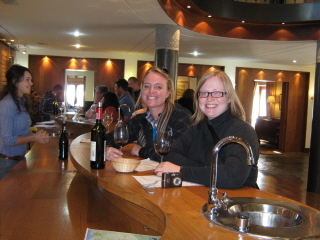 I am first time read about Wine tour.This is a wonderful topic for blog. Very knowledgeable and helpful for me. One think Can Join Your next tour. I am very much enthusiastic about the information you have described. I suggested to thank you for an exceptional article. Thankful for the stupifing site. I structure behind truth like your post. It will proceed with me in striking structure.